Norman Cornish MBE (1919 – 2014), set himself the task of recording what it was like to live in Spennymoor, a small mining town in north east England in the middle of the 20th century. He had little interest in anywhere else and the focus of his gaze has been sharp, true and unblinking. At the age of fourteen he began his working life as a miner at the Dean and Chapter Colliery and at sixteen he joined the Spennymoor Sketching Club, that enlightened educational and cultural project of the late 1930’s that enabled a rich broadening of his artistic horizons. On his tutor Bill Farrell’s advice, that he could do no better than paint the life he knew, he chronicled an entire way of life.Without diminishing the harsh realities of life and work, his paintings create a sense of time and place by depicting the lyrical qualities of his surroundings in which time is defeated. 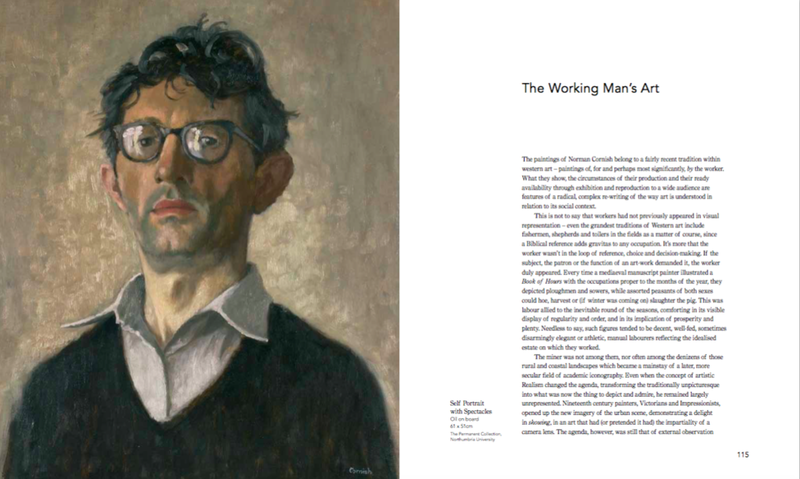 Illustrated with many early paintings and drawings, the accompanying essays provide a fascinating insight into the artistic, cultural and social developments taking place in the post war years while Cornish was emerging to become one of the region’s most respected artists.